Berkery Noyes Represents JBHM Education Group LLC In Its Sale To Weld North - Berkery, Noyes & Co., LLC. 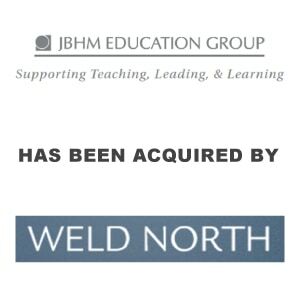 New York, September 24, 2012 – Berkery Noyes, a leading independent investment bank providing mergers & acquisitions advisory services to the information and education markets, announced today that it represented JBHM Education Group LLC in its sale to Weld North. JBHM Education Group’s mission is to support teaching, leading, and learning by changing school cultures through leadership and highly structured improvement processes. The Company was founded and built by educators with extraordinary talents for identifying students’ learning needs and creating education services to fulfill those needs with seamless execution. “JBHM is a unique company of highly talented education experts who have succeeded in transforming the learning culture and academic results in schools of all types, and most importantly, academically underperforming schools. 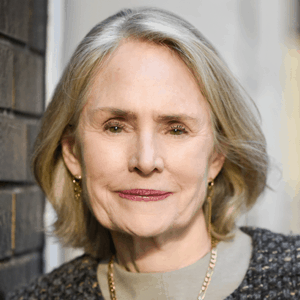 Under Weld North’s ownership, JBHM is likely to succeed in introducing its winning school improvement methodologies beyond its current footprint in five states,” said Mary Jo Zandy, Managing Director of Berkery Noyes. In 2000, after a successful career in education, Dr. Mike Walters founded JBHM to improve the learning experience for kids in failing schools. “I am confident that JBHM will flourish in offering its proven school improvement framework to school districts across the nation under the capable leadership of Jonathan Grayer and his executive team,” commented Dr. Walters, who will continue as Executive Chairman of JBHM. About Weld North – Weld North is an investment company concentrating on education, health and wellness, consumer services and marketing businesses. In partnership with KKR, a leading global alternative asset manager, Weld North seeks to make control investments in businesses with high potential for long-term growth in cash flow. As a partner with strong and highly motivated management teams, the firm looks to accelerate growth through an obsessive focus on enhancing the customer experience, operational excellence, marketing expertise, and strategic and disciplined management. About Berkery Noyes – Berkery Noyes provides strategic mergers and acquisitions advisory services to middle-market companies in the United States and internationally. Berkery Noyes has been involved in many notable transactions in the information and education sectors, including Thomson Reuter’s acquisition of Discovery Logic, Inc.; Iron Data’s acquisition of Versa Systems, Inc.; Internet Brands acquisition of Nolo, Inc.; Random House’s acquisition of Ten Speed Press; Gale’s acquisition of HighBeam; Wicks’ acquisition of The Gordian Group; Berlitz’ acquisition of Second Language Testing Inc.; Oxford University Press’ acquisition of Roxbury; and Cambium Learning Group’s acquisition of Class.com.